Normal tariff is about $182.50 per person per day, therefore a saving of about $50 per person per day (or close to $2,000 over the five night stay for eight guests). These deluxe self-contained eight person apartments are popular with one or two families a or a group of friends. There’s a full kitchen, drying cupboard for clothing and boots and individually controlled hydronic panel heaters. Plus a balcony that offers amazing views over the resort’s ski trails. All linen, towels and swimming pool towels are provided. 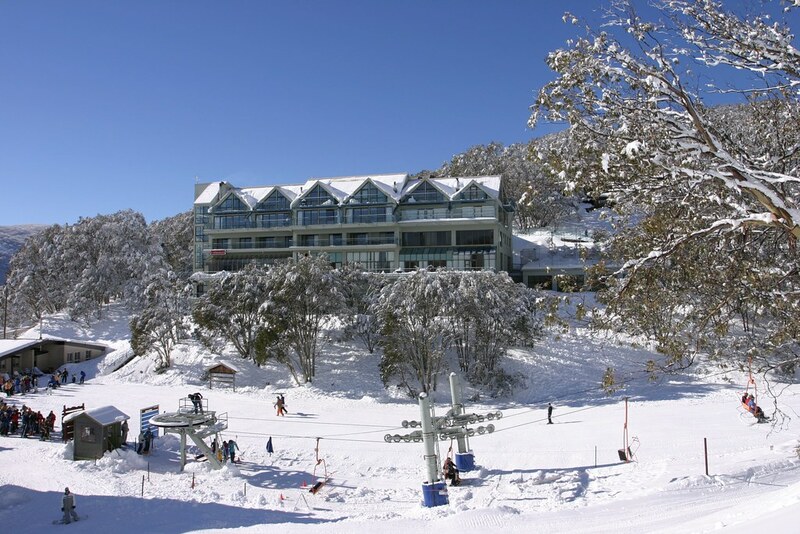 Within the Falls Creek Country Club, a six-storey ski in – ski out, drive in –drive out apartment complex, there is an indoor pool, spa, sauna, restaurant and bar. 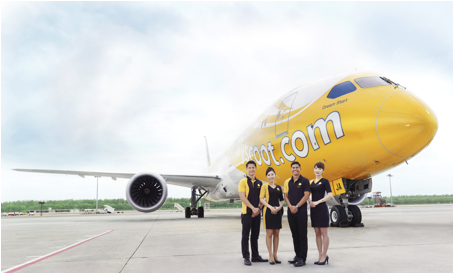 Book your tickets at FlyScoot.com or contact our Call Centre. Find out more on FlyScoot.com, Facebook.com/FlyScoot, Instagram.com/FlywithScoot or Weibo.com/Flyscoot. 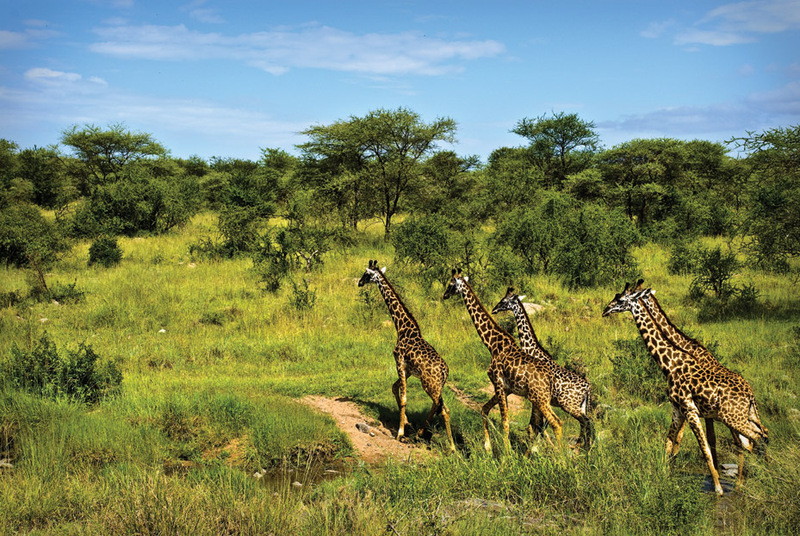 Embark on a South African sojourn to experience the wild beauty of this country, while savouring delicious seafood and exploring historical buildings on a 14-day voyage aboard Silver Cloud. Departing Cape Town on 21 December 2016, Silver Cloud spends the first two days of her journey at Walvis Bay in Namibia, before sailing to Port Elizabeth, East London, Durban and Richards Bay. Arriving at Mossel Bay, guests can savour some of the exquisite oysters and observe dolphins as they swim and play in the bay. Silver Cloud then returns to Cape Town for the final two days of her voyage. Here, guests can indulge in Capetoninan fine dining and local varieties of wine atop Table Mountain, before this journey concludes on 04 January 2017. · Published fare starting from AU$11,050. · Early Booking Bonus fare from AU$9,945. Silversea fares include: all-suite accommodation with butler service; gourmet meals with menus inspired by Relais & Châteaux; complimentary wines, Champagne and spirits served throughout the ships; one hour of complimentary WiFi per day for each guest and unlimited WiFi for the ship's top suites (Medallion and higher categories) and all gratuities. 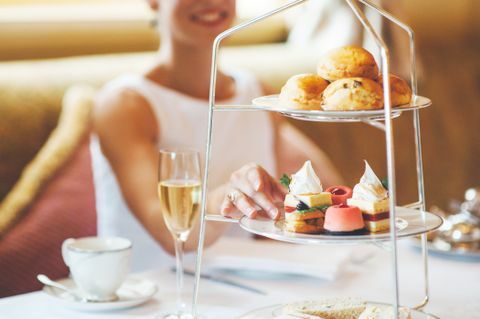 Join The Hotel Windsor this Mother's Day (Sunday 8, May) and celebrate with your loved ones over an exquisite Afternoon Tea in Melbourne's most cherished grand hotel. With reservations held up to a year in advance, it is the dining destination choice on such a special occasion. The Hotel Windsor has been serving its lauded afternoon tea since 1883, creating favourites such as exquisite French pastries, savoury finger sandwiches and canapés, freshly baked scones, all beautifully presented on traditional three-tiered stands. 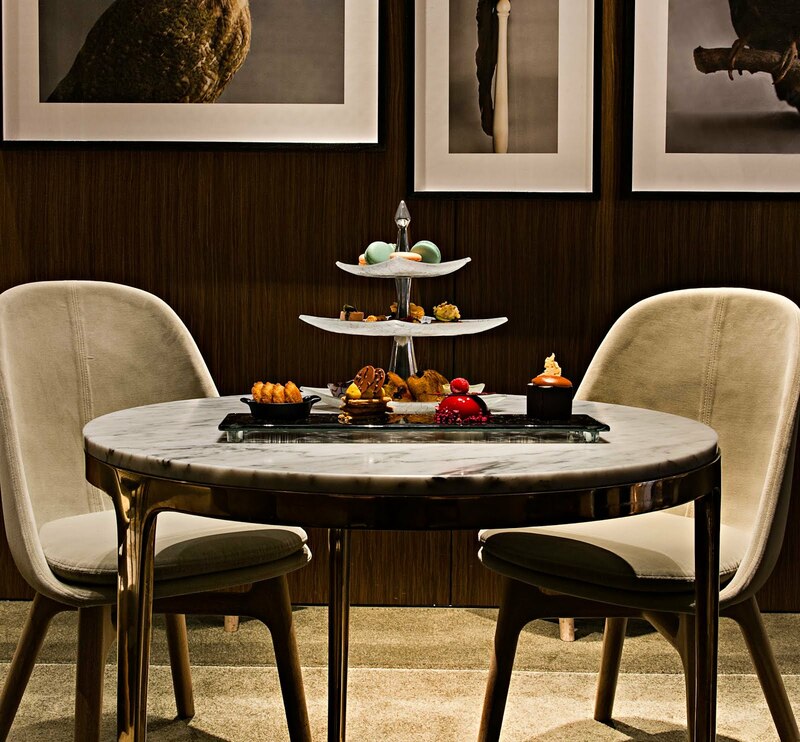 Perfectly complemented by an indulgent dessert buffet and menu of fine teas or bubbles. 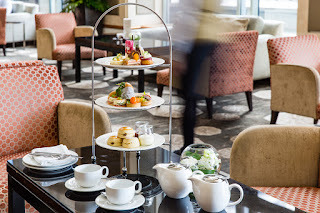 In celebration of Mother's Day, the hotel will be hosting the afternoon teas in its One Eleven Spring Street Dining Room ($129 per person), heritage-listed Grand Ballroom ($99 per person) and stunning Bourke Room ($99 per person), with a number of sittings available for reservation. Guests choosing to dine in the One Eleven Spring Street Dining Room will be served unlimited French sparkling wine throughout the seating and will have a slightly longer reservation to fully embrace the offering. As a special gift from the hotel, each Mother will receive a sweet 'treat' of soft centred raspberry and pistachio mousse cake, white chocolate and hazelnut crumble. Those unable to attend the Afternoon Tea will be able to purchase a gift voucher for their loved ones, valid for four months. Limited seats are available for each session due to popularity, and guests are advised to secure reservations early. All reservations must be pre-paid and can be made by contactingreservations@thw.com.au or +61 (03) 9633 6004. 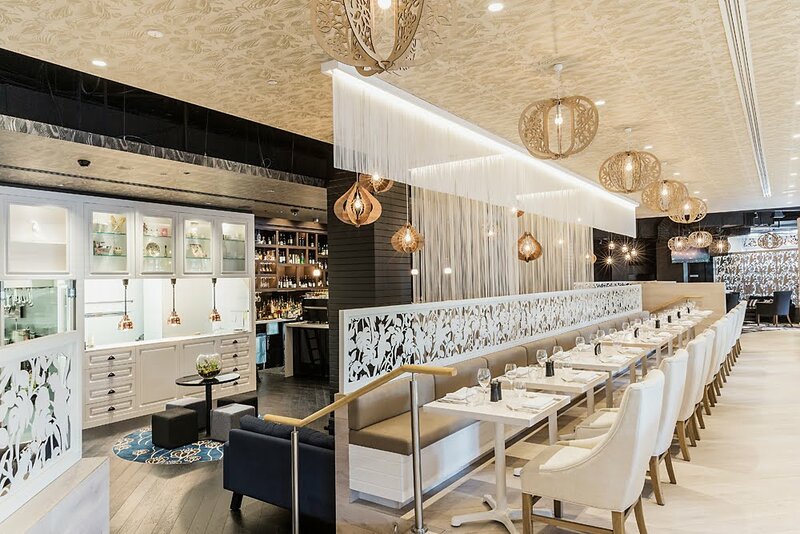 The hotel's One Eleven Spring Street Dining Room will not open for dinner service on Mother's Day. 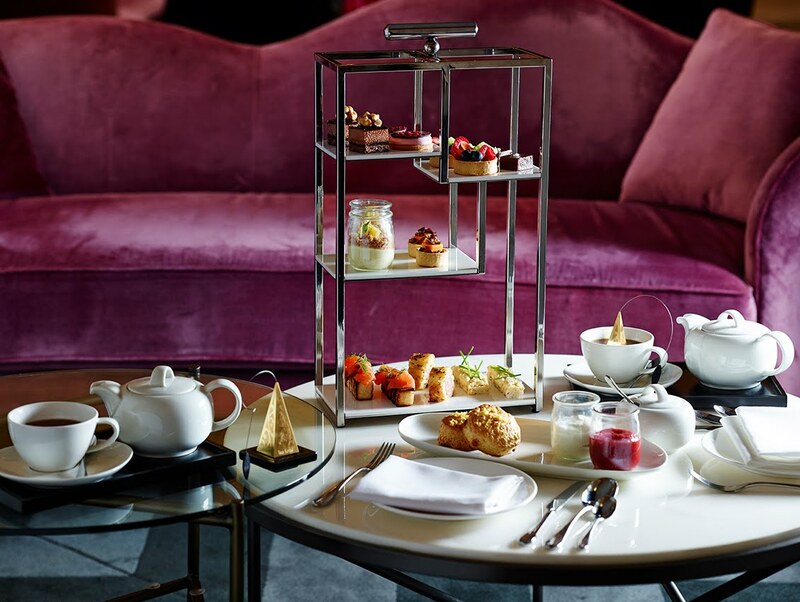 Create memorable moments this Mother's Day with a very special afternoon tea in stunning surrounds of Park Hyatt Melbourne. Sit back, relax and enjoy a selection of delicate sweets and housemade treats as you listen to live music, sip on a glass of champagne and celebrate with your Mum in style. If you're still searching for the perfect gift, let us help you create a personalised experience that is sure to surprise and delight. Spoil your Mum with a unique dining experience at radii restaurant & bar, treat her to some mid-week indulgence with our Spa Champagne High Tea or gift her with a luxurious weekend away at Park Hyatt Melbourne. Let our talented team of Guest Service Officers work with you to create a gift that is unique, inspiring and above all, a gift your Mum truly deserves. 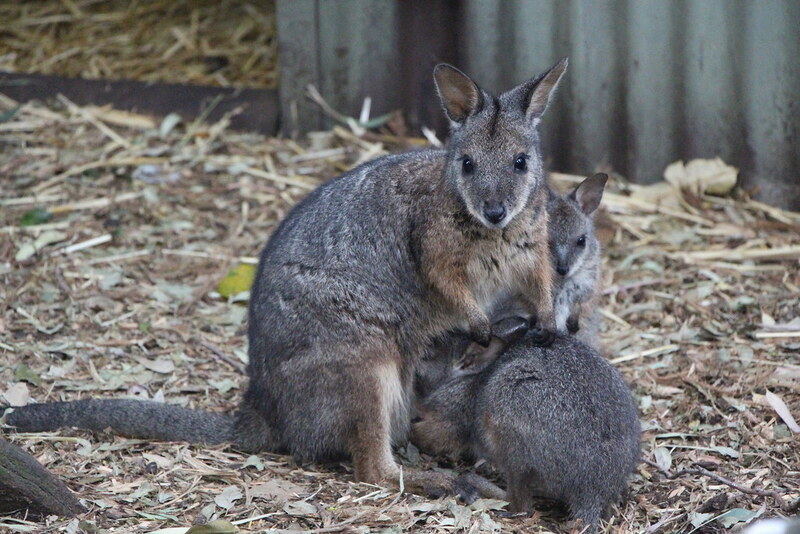 To find out more about Mother's Day at Park Hyatt Melbourne visit our website or phone 03 9224 1234. Celebrate the most important woman in your life this Mother's Day with a three-course culinary adventure at Australian restaurateur Luke Mangan's glass brasserie located at Hilton Sydney. The lavish lunch will feature Mangan's most delectable lunchtime creations sure to tantalise mum's taste buds—and the whole family's. Two-course options are available for children 12 and under. Entrees that will put a smile on mum's face include a choice of: fresh oysters, kingfish sashimi, honey and oregano olive oil cheese, free-range crab omelette, or rare Wagyu beef. 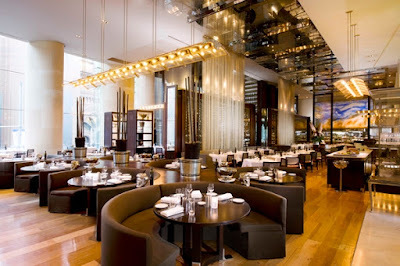 Scrumptious main courses are pan-fried potato gnocchi, snapper fillet, wood grilled Mt. Cook Allpine Salmon, or Beef City eye fillet. To end the afternoon, indulge in glass brasserie's heavenly desserts, coffee and tea— plus enter mum to win a beautiful champagne hamper compliments of Hilton Sydney. 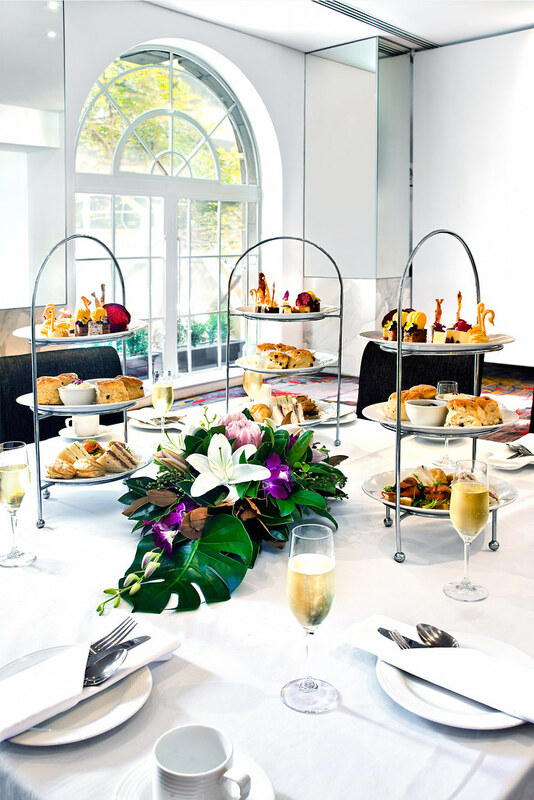 Treat mum and yourself this Mother's Day to an indulgent High Tea experience at Primus Hotel Sydney. 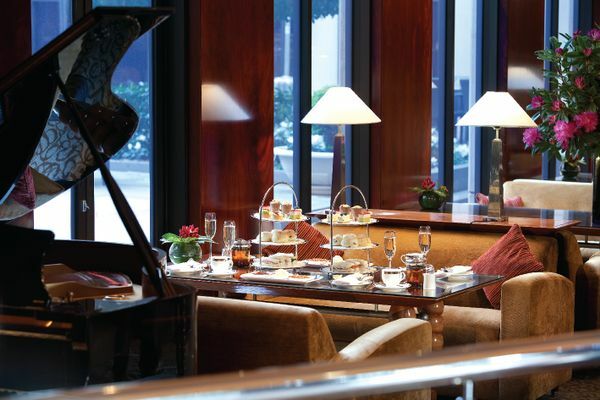 Enjoy your afternoon tea with a flute of Veuve Clicquot in the soaring Art Deco lobby. 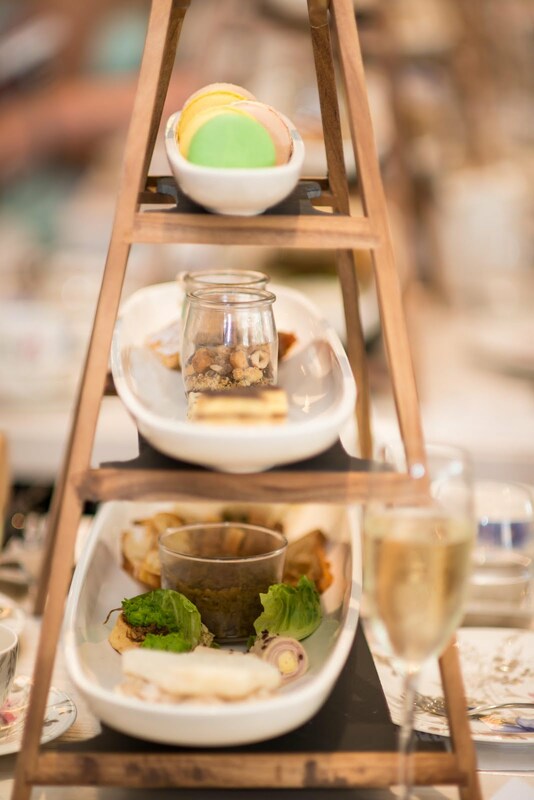 Be one of the first to experience Executive Chef Ryan Hong's innovative and sumptuous High Tea with sweet and savoury treats from Petit Wagon Wheels and Salted Caramel Fudge to Moreton Bay Bug Salad on a Wonton Crisp and Wagyu Sliders. Mum will also take home a curated gift pack by Australian organic skincare brand, Appelles, and a complimentary voucher to enjoy The Wilmot High Tea – maybe next time she'll take you! Raffles Dubai have introduced a Manolo Blahnik afternoon tea collection. 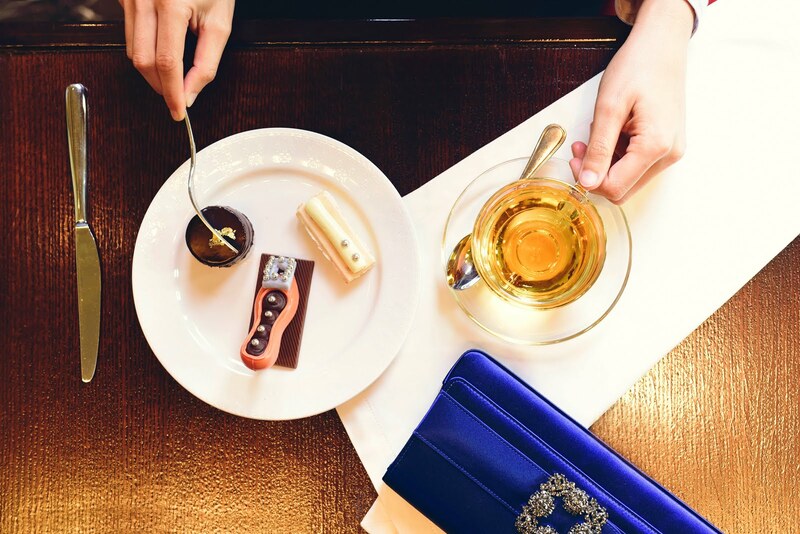 Served in the sublime settings of Raffles Salon, the themed afternoon tea incorporates the essence of Manolo Blahnik's hand-crafted signature pieces including the classic Hangisi pumps. Menu items include peach praline chocolate stilettos, yoghurt panna cotta and sour cherries hat stand, and blueberry blushers to name a few. The Manolo Blahnik Collection is offered every day in Raffles Salon, located in the lobby, from 2pm to 7pm. The afternoon tea is priced at AED 249 for two people or AED 449 for two people including a flute of bubbly each. 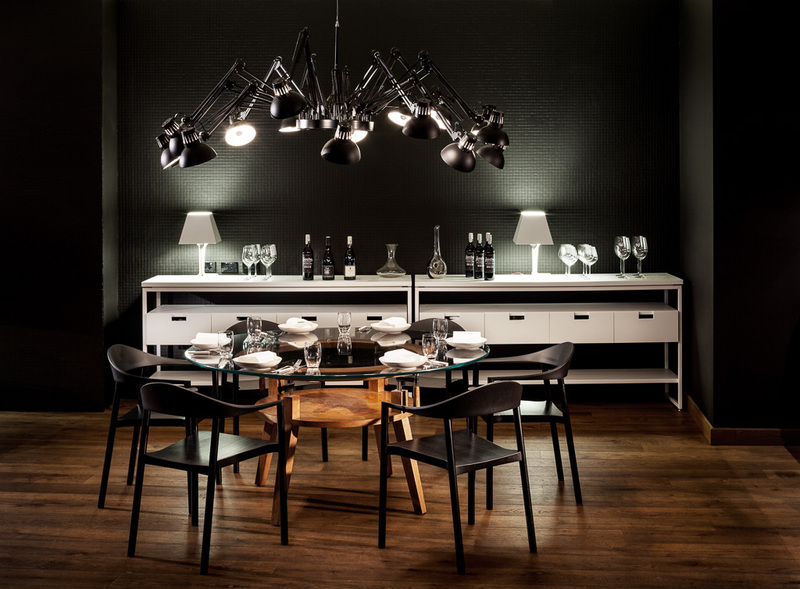 The time-limited edition is served from 1 April to 30 September 2016. Located on the city-side of Darling Harbour, PARKROYAL Darling Harbour, Sydney is an urban sanctuary in the heart of the city with stunning views and state-of-the-art facilities to guarantee Mum a memorable experience. 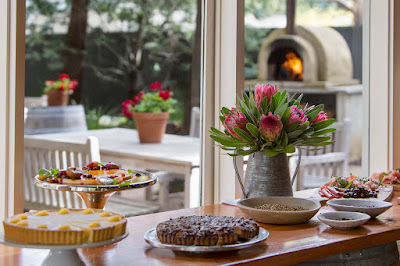 With new Head Chef Anthony Naylor at the helm of the kitchen, the hotel's award-winning restaurant ABODE has put together indulgent gourmet menus for high tea, lunch, and dinner, with a complimentary glass of champagne for all Mums. Savour a decadent high tea menu featuring a selection of savoury bites, delectable desserts and traditional high tea favourites, complemented with exquisite Villa Jolanda Prosecco and Jansz sparkling wine. Experience a modern twist on classic favourites with prosecco cured salmon roulade or blueberry and vanilla scones with rose scented Chantilly cream, all served on stunning Villeroy & Boch China. All Mums will be treated to a complimentary glass of champagne. Available on Sunday 8 May in two sittings from 12pm to 2pm and 2pm to 4pm. Prices are $45.00 per adult (12 years and over), $30.00 per child (four to 12 years old inclusive) and infants (not requiring a seat) are complimentary. For enquiries contact rsvp@abodebistro.com. Booking in advance is highly recommended. Just minutes away from Parramatta city centre and popular Church Street, PARKROYAL Parramatta is the perfect urban sanctuary to kick-start your Mother's Day celebration in style. Celebrate Mother's Day with an indulgent gourmet lunch featuring a selection of fresh local seafood, an enticing array of hot dishes, seasonal salads and delectable desserts. 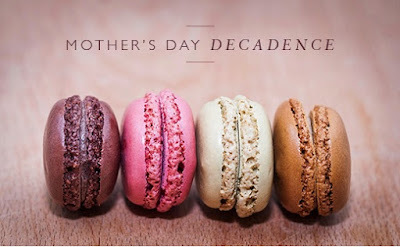 Treat Mum to a delectable experience and a complimentary glass of Sparkling wine on arrival. Lunch seatings are available on Sunday 8 May from 12.30pm to 3pm. Prices are $59.00 per adult and $35.00 per child (five to 12 years inclusive). For enquiries contact 02 9689 3333 or dining.prsyp@parkroyalhotels.com. Booking in advance is highly recommended. Spoil your Mum with sweet treats at our specially designed High Tea, created by Executive Pastry Chef Anna Polyviou. You'll delight in the all-time family favourites, including "Sponge Cake with Love 4 Mum", caramel slice, lemonade scones and Quiche Lorraine. 8th May; $52.00 pp with three seating choices: 11.00 – 1.00 pm, 1.30 – 3.30, 4.00 onwards. Why not add a flute of sparkle? Chandon for $62 pp; Perrier Jouet for $75 pp. 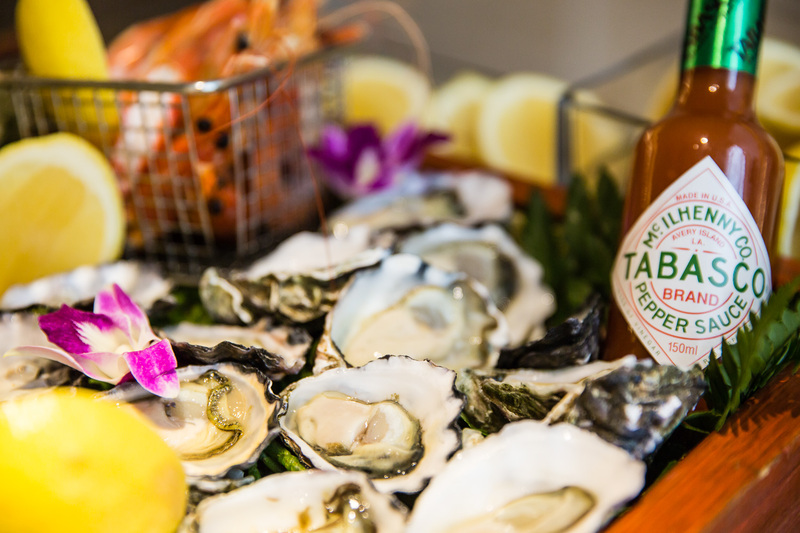 A sumptuous seafood extravaganza with a glass of Chandon, anyone? Indulge Mum with a bountiful buffet at Cafe Mix, renowned for its fresh local produce, international flavours, and vast array of sensational seafood. The sweetest finish awaits with desserts reminiscent of childhood, including "CANNOLI like Mamma make", pavlova, pumpkin scones, trifle and a decadent chocolate fountain. 8th May from noon-2.30 pm. 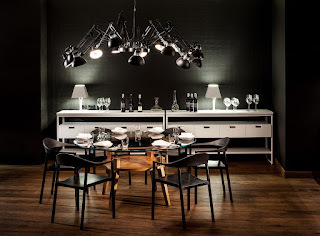 $95.00 pp, including a glass of Chandon. 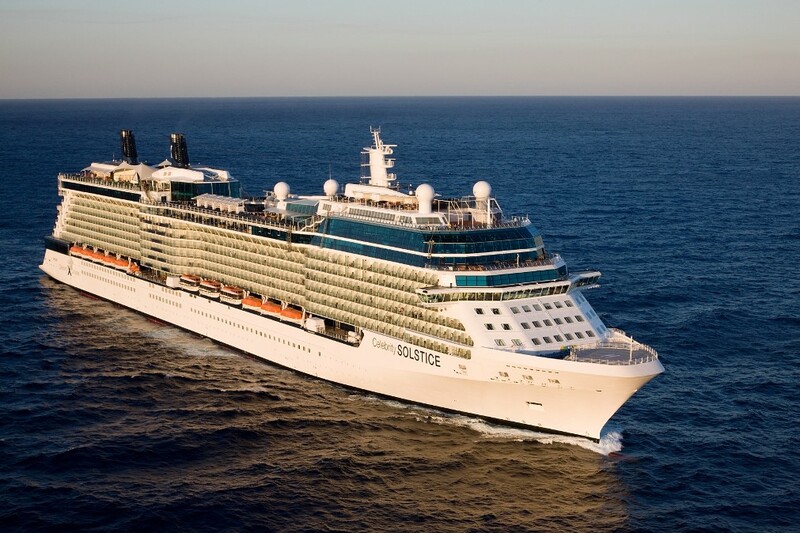 Celebrity Cruises is offering guests free return flights for two repositioning Asian sailings onboard award-winning Celebrity Solstice. This incredible offer will provide free flights for bookings made in Balcony Staterooms or above and is valid for new individual bookings made before 24 May 2016*. Fares start from $3099 per person in a Balcony Stateroom departing Sydney 8 October 2016. The 14-night cruise onboard the modern luxe cruise ship will make calls to Brisbane, Cairns, the Whitsundays, Darwin and Bali before arriving in Singapore. The free flight offer extends to domestic flights from Brisbane, Perth, Melbourne or Adelaide to Sydney to meet the ship, and home to the same ports from Singapore at the conclusion of the voyage. 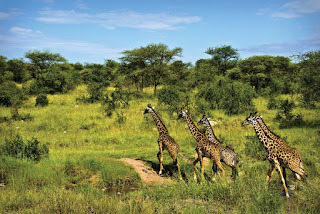 Or choose the same 14-night itinerary in reverse, departing Singapore on 31 October and including international flights to meet the ship, and domestic flights to either Brisbane, Perth, Melbourne or Adelaide if guests live outside of Sydney at the conclusion of the cruise; all priced from $3349 per person (Balcony). 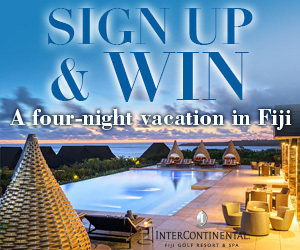 Nanuku Auberge Resort Fiji has made it even easier to stay at the all-inclusive luxury hideaway with the release of a two-tiered choice of 'stay-pay' offers valid for travel until 31 March 2017. Option one offers a seven-day stay for the price of five nights while a further option offers five days for the price of four*. Both offers, which must be booked by 31 July 2016, come complete with all gourmet meals and select non-alcoholic beverages, non-motorised water activities, Wi-Fi, in-villa movies, a personal golf buggy, villa mamma and Nanuku buddy and a variety of cultural activities. 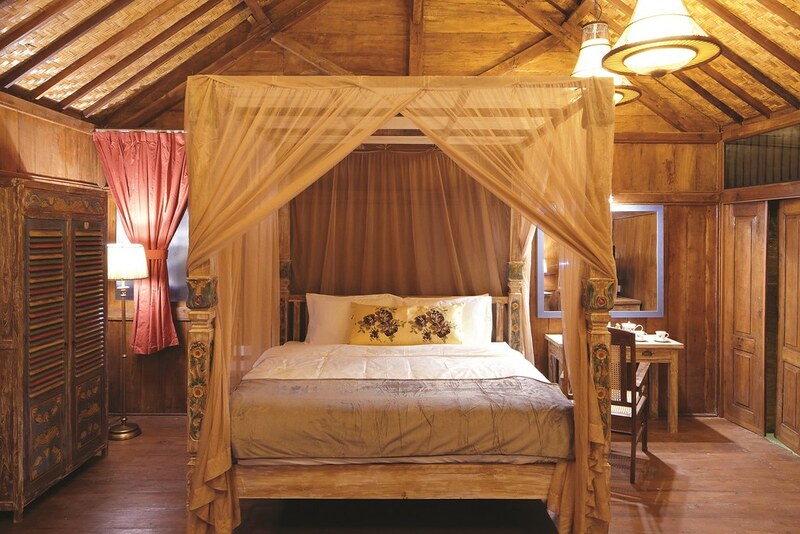 The offer is valid across all room categories with the exception of the Vunikau Suite. Set in lush tropical gardens fronting pristine Beqa Lagoon on one of Viti Levu's best sand beaches, the resort's design delivers a meld of contemporary luxury with traditional Fijian design. All residences have been designed with huge air-conditioned living and entertaining areas, luxurious en suites complete with spa baths, private yoga bures, plunge pools, media rooms, expansive decks, outdoor living rooms, private landscaped gardens and daybeds. *Conditions apply. The offer is not available from 20 June - 15 July, from 27-30 July, from 10 September to 09 October and from 20 December 2016 – 05 January 2017. For further information visit https://nanuku.aubergeresorts.com.